The Pure AC-4 is a high-end AC filter that lowers the AC noise by more than 20dB. It comes with 4 Furutech FPX gold plated AC sockets, has a trigger input and output, and a circuit breaker for surge protection. Most of our audio devices share the home AC line with other electrical appliances such as refrigerators, washing machines, air conditioner and LED lights. The home appliances emit electrical noise through the AC line. 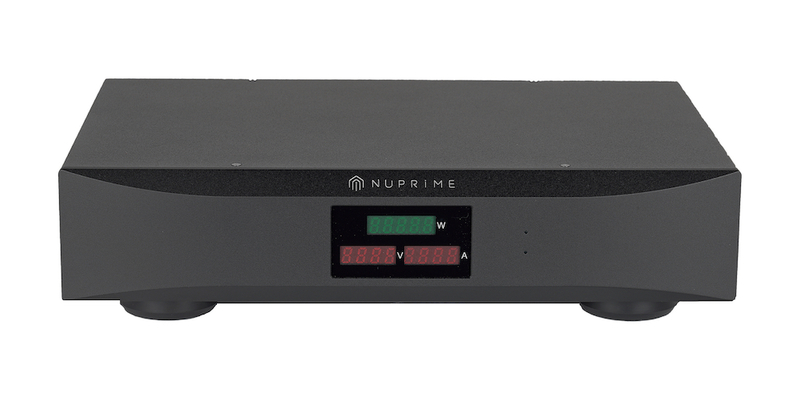 It is not a problem for entry-level mass market consumer audio system, but in a high-end system where we are optimizing SNR > 90db and less than 0.1% THD+N, this is an area that we should pay attention. 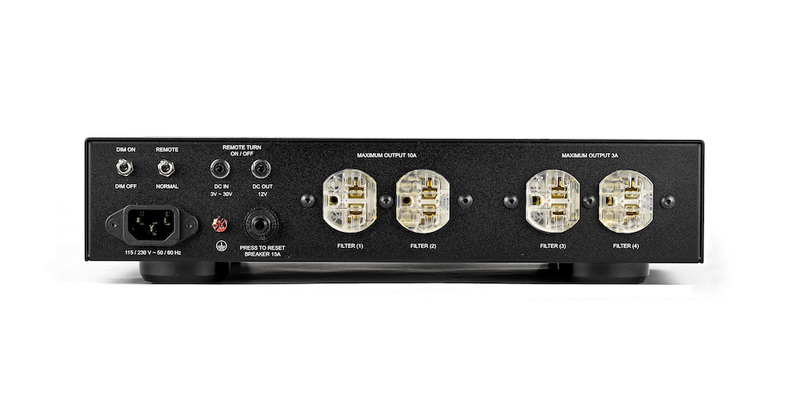 The Pure AC-4 improves your audio system sound stage and resolution. You can hear more details and harmonics in your music. Most of the affordable AC filter devices do the job of isolating the noise, but also compress the energy provided by the AC power supply. It is due to the physical characteristics of simple filter design. This result in the loss of bass isolation and dynamics. 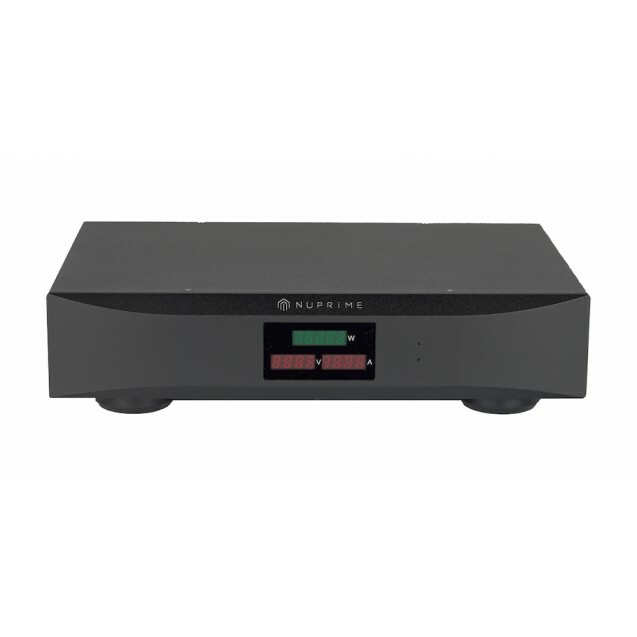 High-end devices with a sophisticated design that can achieve excellent noise filtering without the side effects cost much more than the price of Pure AC-4. 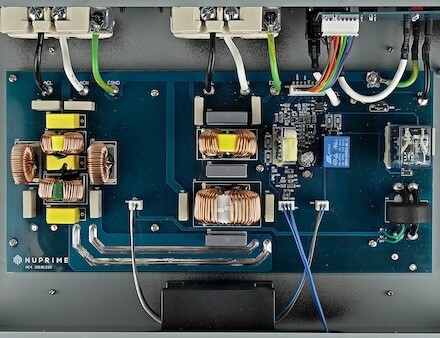 Furthermore, high power amplifiers and small signal devices require very different AC filter designs and entry-level AC filter devices are not optimized for either one of them. 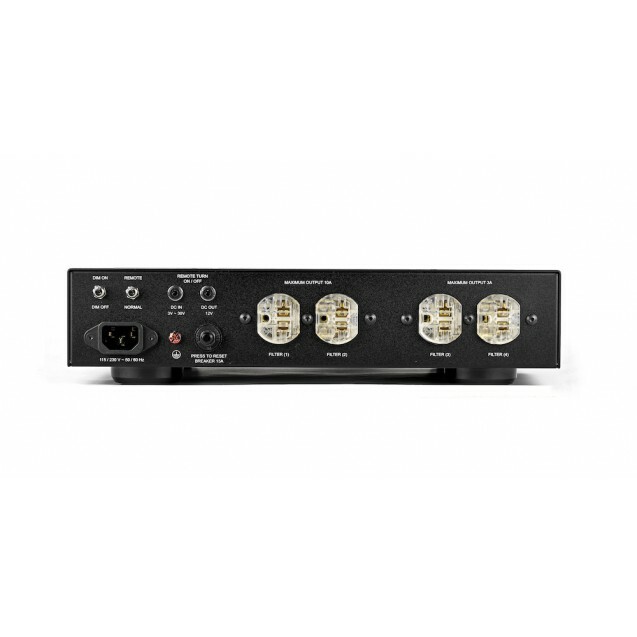 1) Small-signal sensitive devices such as the preamp, DAC, and players utilizing the two output sockets with a current range of 3A to 8A. 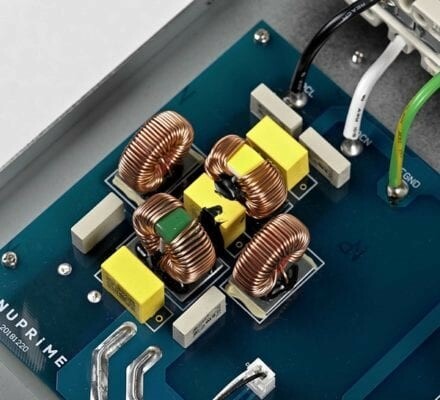 An extremely powerful 7th-order LC filter circuit (using 7 high-power inductors, capacitors) with maximum 1000 times isolation performance is explicitly designed for small signal devices that are very susceptible to noise interference. 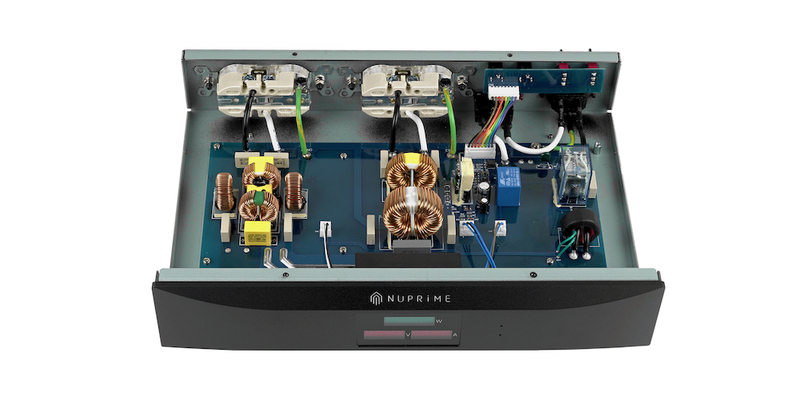 2) High power amplifiers using two output sockets with a current range of 10A to 15A. A 5th-order LC filter with 10 to 50 times isolation is designed to supply a maximum current of 27A. 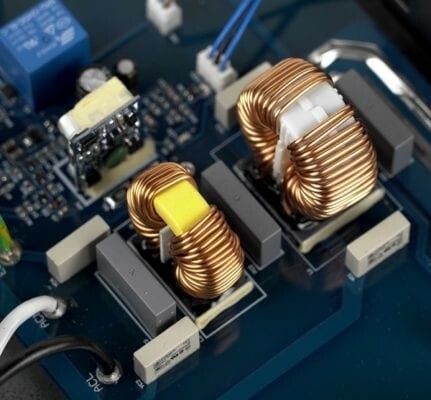 The inductor is wounded with 1.6mm thick copper wire to allow for high current flow. FURUTECH FPX high-grade electroplated 24k gold AC sockets. The FPX series has a pin insert construction that ensures increased contact areas and stable transmission. • AC monitoring that displays voltage, current, and power simultaneously. The display can be turned off. Implementing more than 4 AC sockets on the same chassis would increase interference and therefore degrade performance. 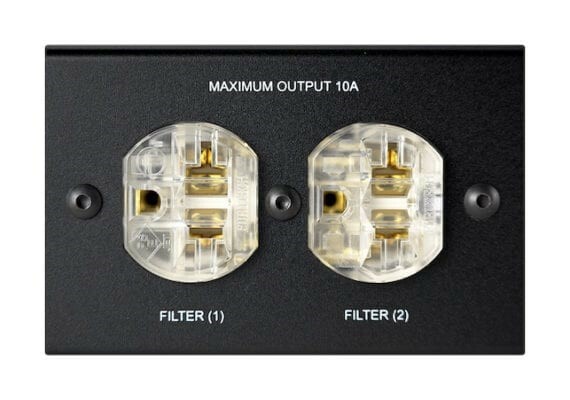 We recommend that users purchase multiple Pure AC-4 devices if they need more than 4 sockets.